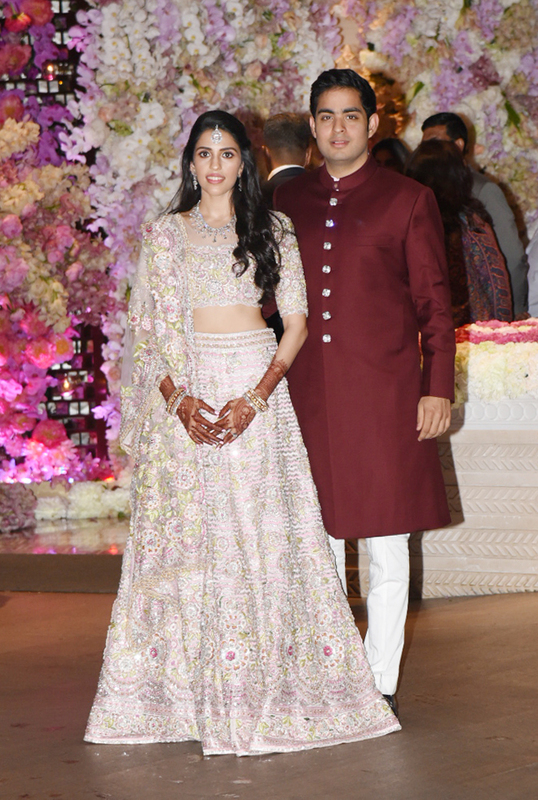 Mukesh and Nita Ambani have organized a grand engagement ceremony for their son Akash Ambani and fiancee Shloka Mehta, with many Bollywood bigwigs in attendance. 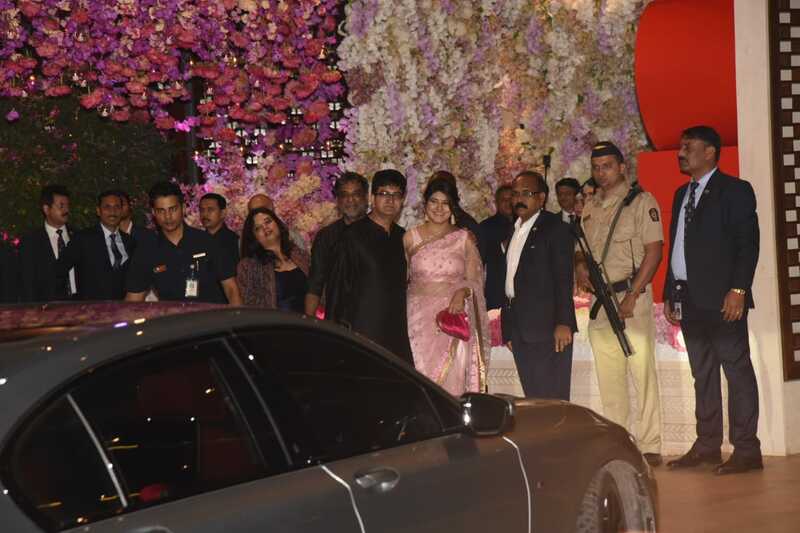 The ceremony that is being held at Antilia – the Ambanis’ Altamount Road residence, is being attended by the cream of Bollywood. 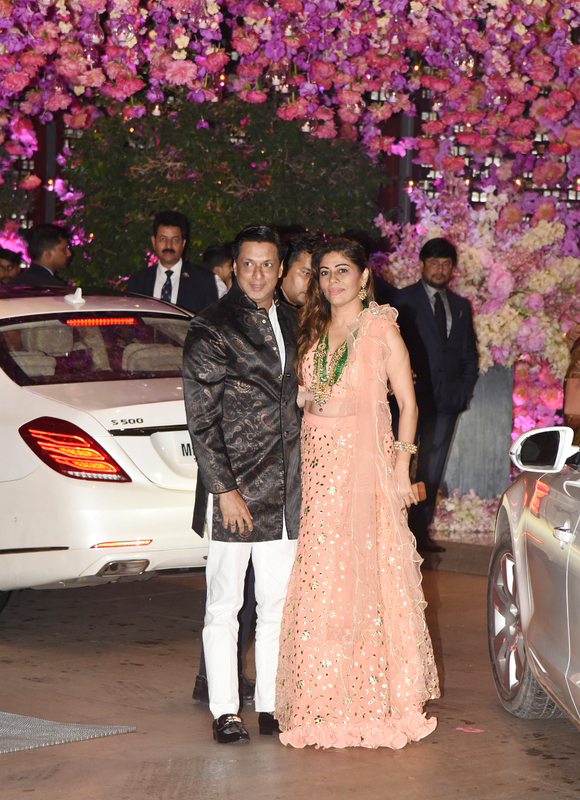 Here we bring pictures of celebrity couples attending the engagement party in their designer best. 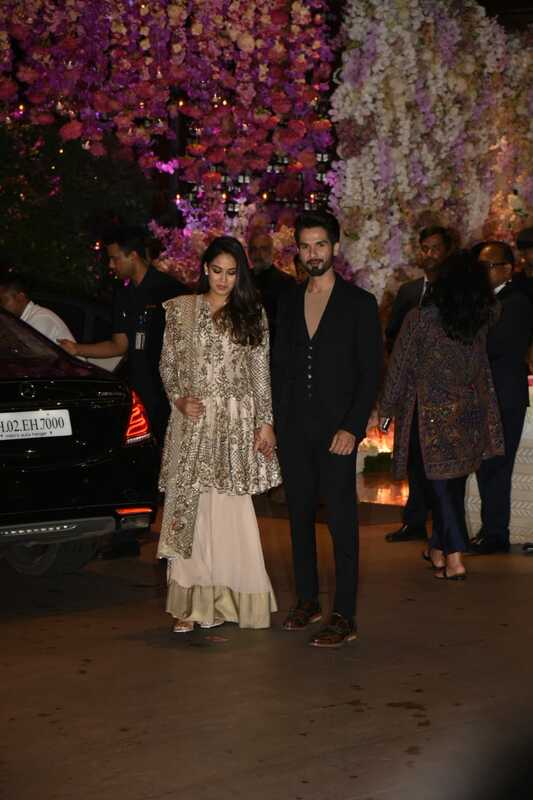 Shahid Kapoor strikes a pose with wifey Mira Rajput. 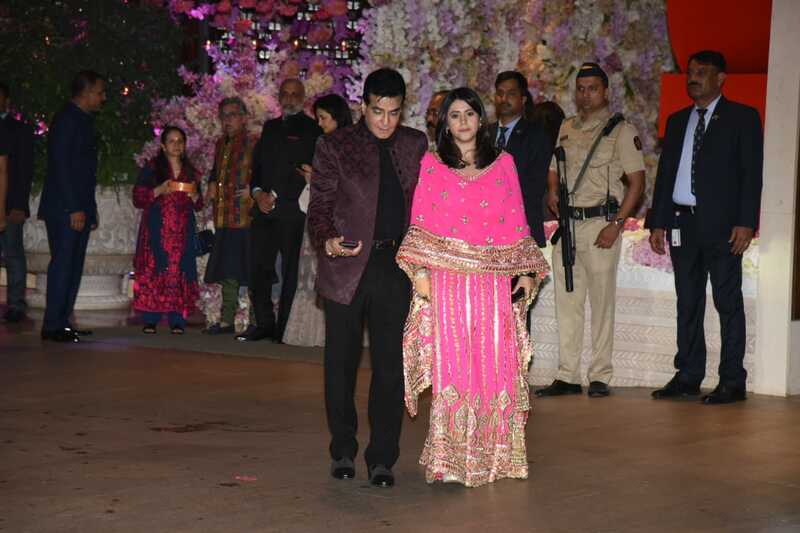 Ekta Kapoor attended the event with father Jeetendra. 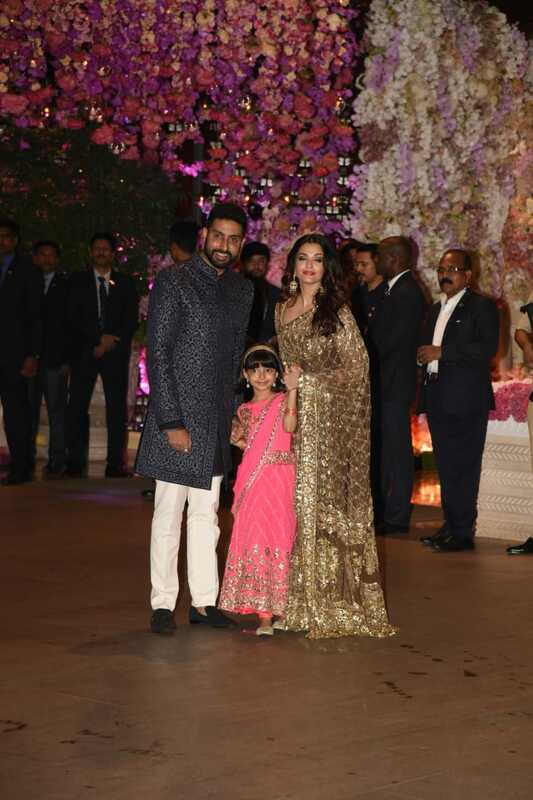 Abhishek Bachchan and Aishwarya Rai Bachchan attended the ceremony with daughter Aaradhya Bachchan. 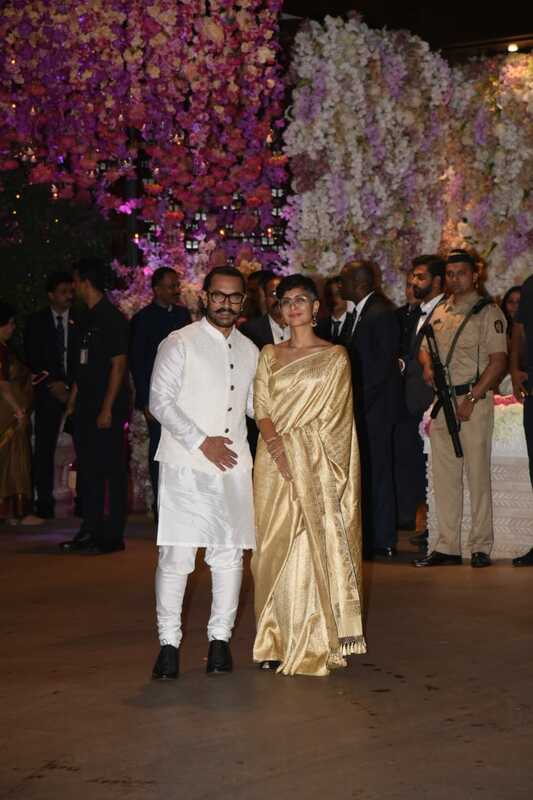 Aamir Khan struck a pose with wifey Kiran Rao. 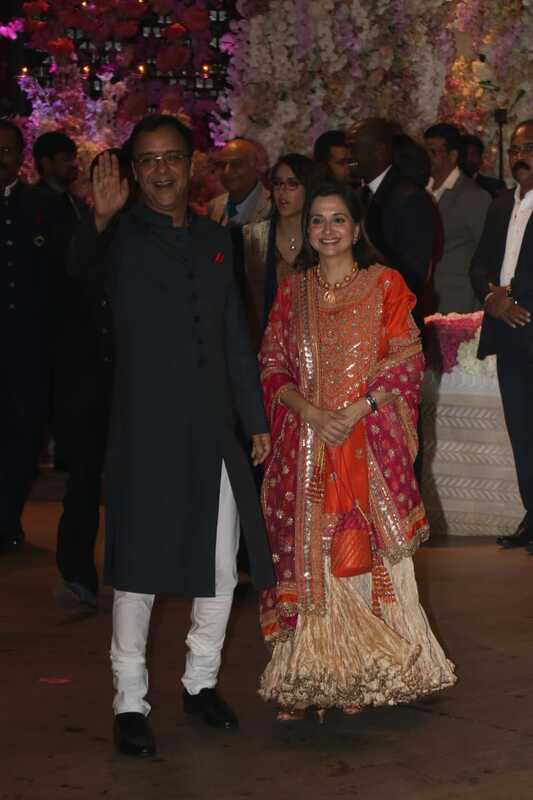 The couple looked lovely together! 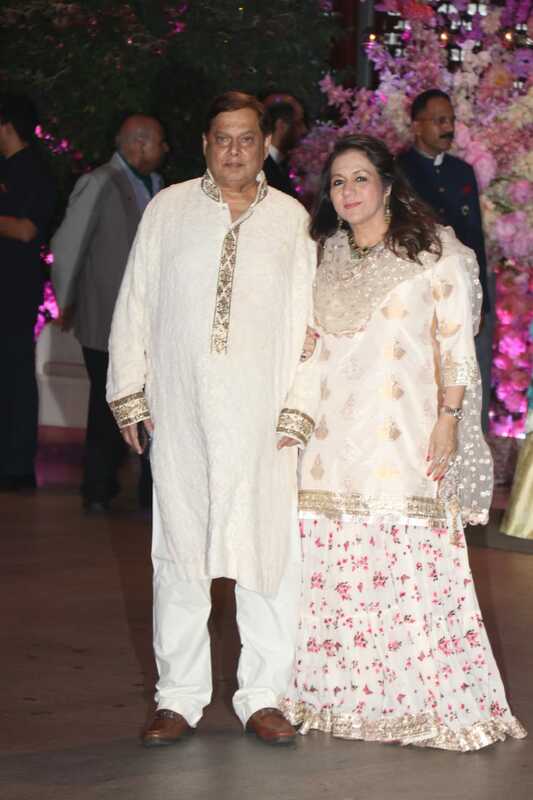 The couple attended the bash in white! 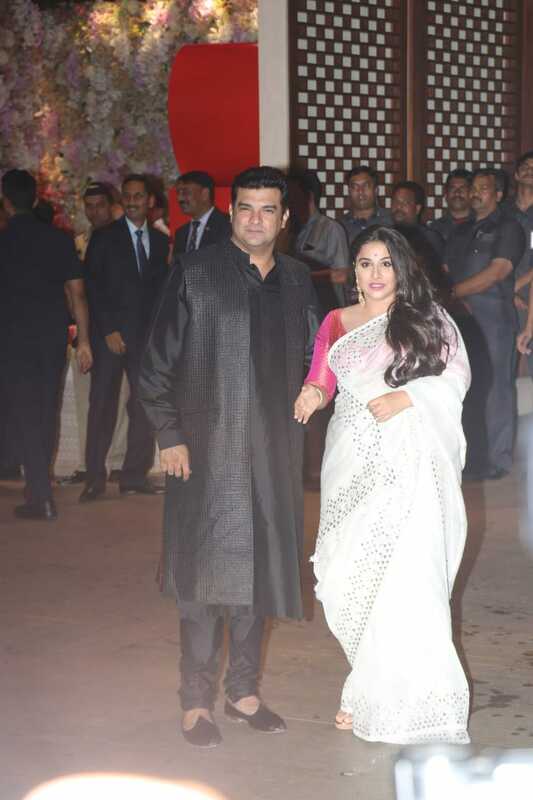 Vidya Balan and Siddharth Roy Kapur looked picture-perfect! 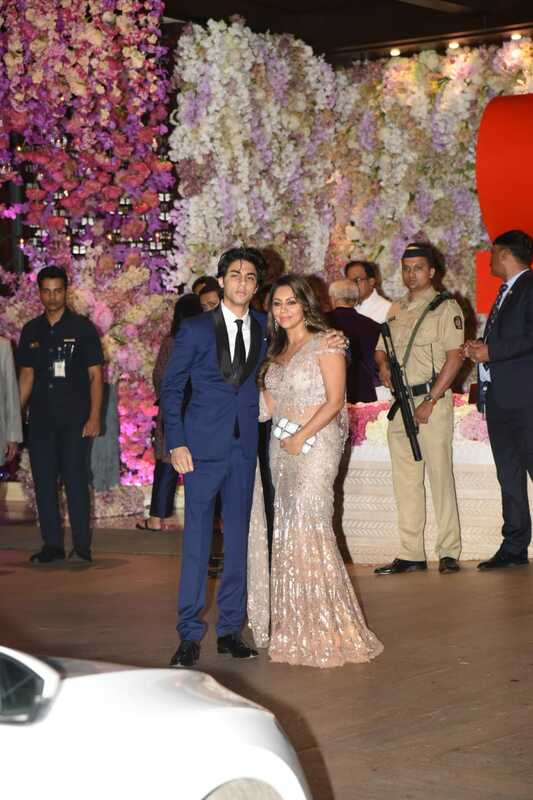 Gauri Khan attended the bash with son Aryan Khan. The couple was seen complimenting each other! 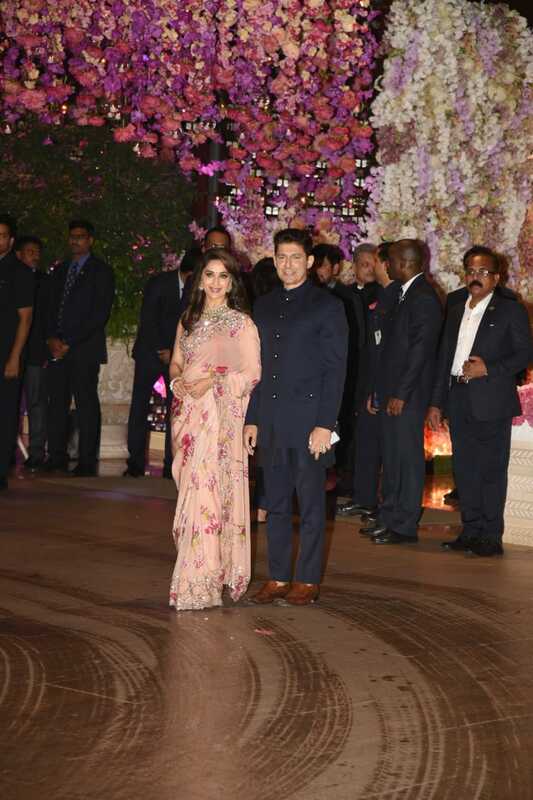 The Jodi looked stunning while making a grand entry at the bash! 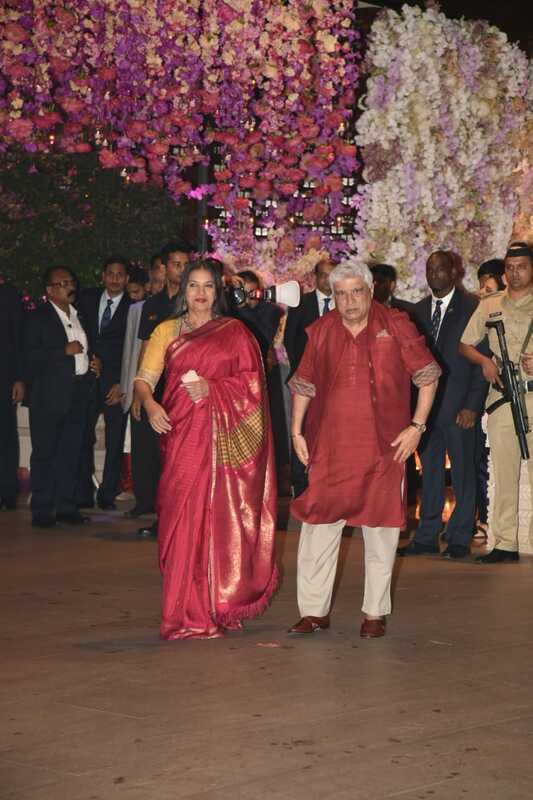 The couple graces the event in style! 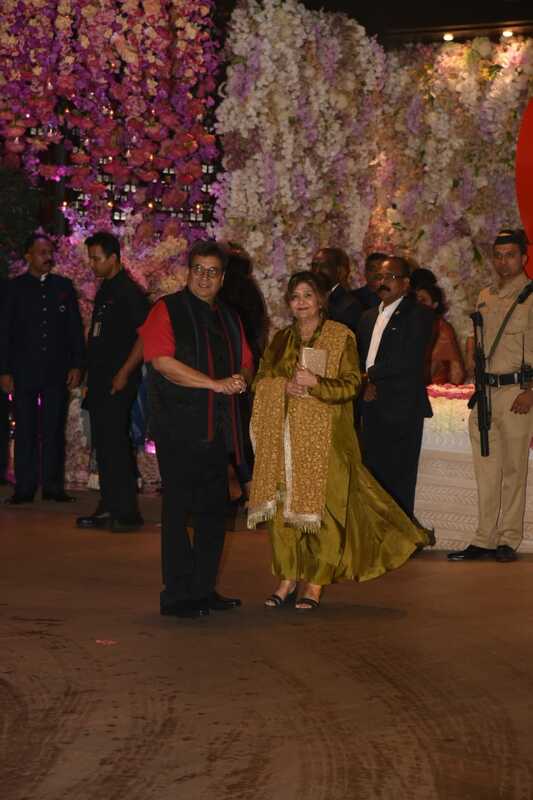 Prasoon Joshi attended the bash with wife Aparna Joshi. 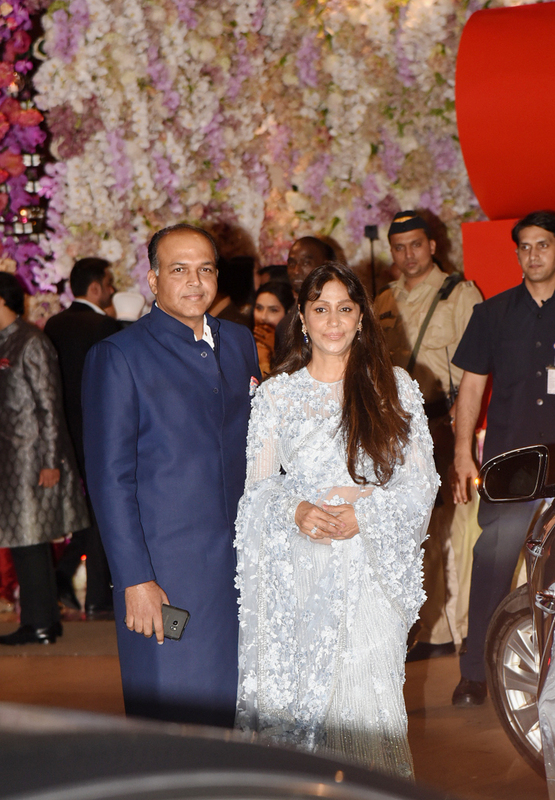 Ashutosh Gowariker poses with wife Sunita Gowariker! 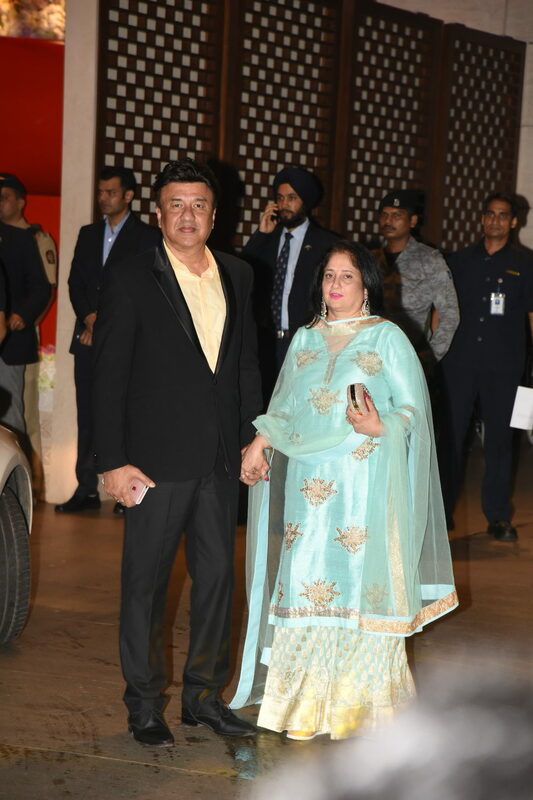 Madhur Bhandarkar and Renu Namboodiri struck the right pose at the party! 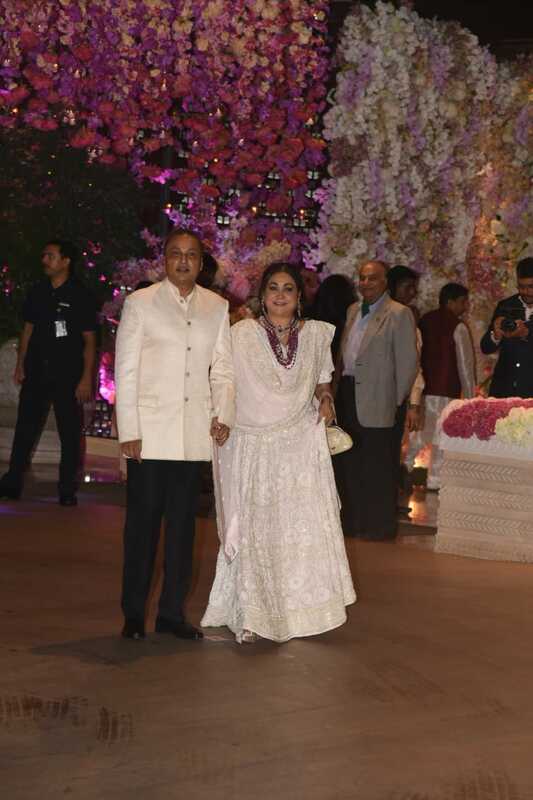 The couple was seen twinning in white! Meet the couple of the hour! The couple posed for the shutterbugs! The duo was all smiles for the cameras!